Kois are beautiful and majestic fishes that are bound to bring some added zen into your home. Admittedly, they are quite a delicate feature to have in your garden or home so if you see any problems with it, you should contact a pond equipment repair company straight away. If you are able to afford it, having a koi pond in your home is definitely a great idea as it will look so much more stylish. Besides, it also allows you to be closer to nature and that is a good thing. 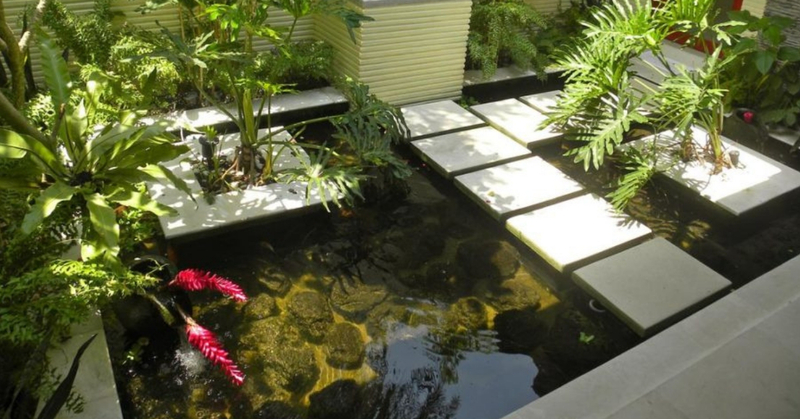 Keeping your koi pond right inside your home is the ultimate status symbol and looks so awesome too. This one gives you the best of both worlds and with suitable lighting plus a gorgeous walkway, you can simply sit there and admire the fishes. We already know that having a koi pond at home can be very relaxing but this Oriental-inspired pond makes it look so much more calm and peaceful. It can also be a great place to meditate or just chill. A lot of koi ponds are sunken into the ground so that it melds with the rest of the decor perfectly but sometimes you want to draw attention to it. This is where an above ground koi pond with glass panels should be put so that it can have all the admiration it truly deserves. Sometimes you just want to have a small pond for your kois and that’s a good move too. Place it in your backyard for a look that is more vacation-like and blends in with the rest of nature at the back as well. We cannot help but let our jaws drop when we saw this contemporary, sleek and absolutely chic koi pond set in the middle of the home. It will be the focal point of the whole area and every guest who sees it will definitely be amazed. There’s no other sound that is more relaxing than the sound of flowing water and this beautiful koi pond has mini waterfalls to lull you into a peaceful mood. Plus, you can even do some entertaining right outside which will definitely create a serene atmosphere.